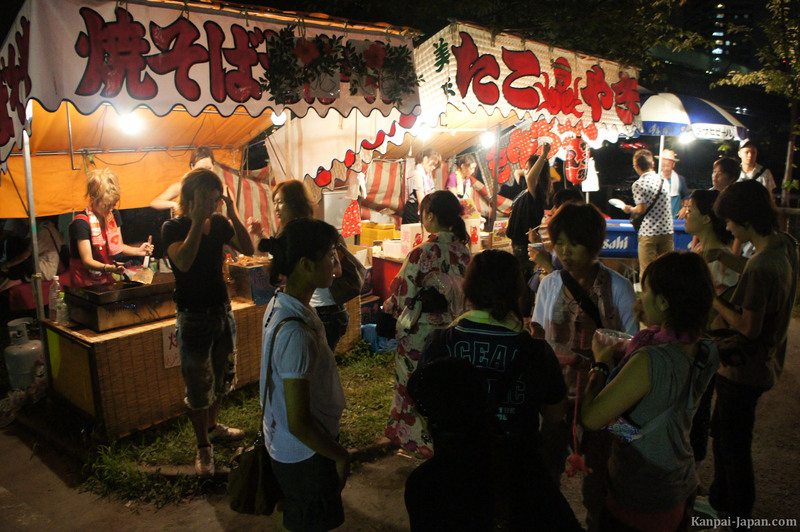 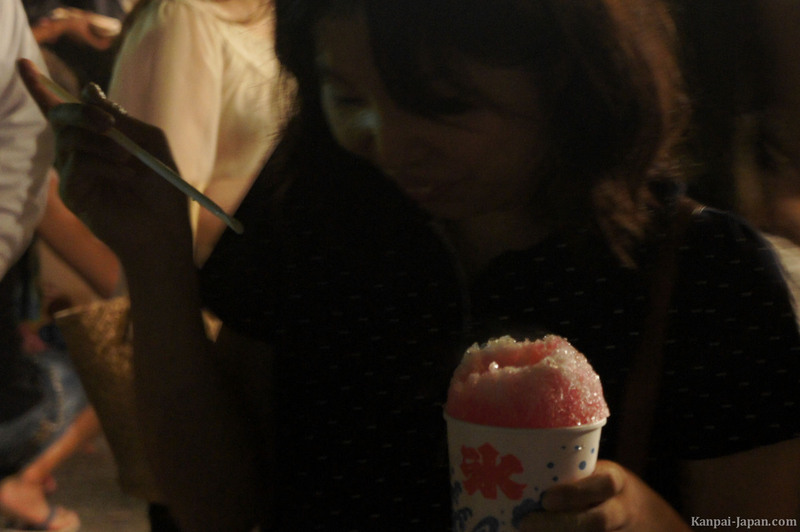 I had never participated in a matsuri festival in Japan. 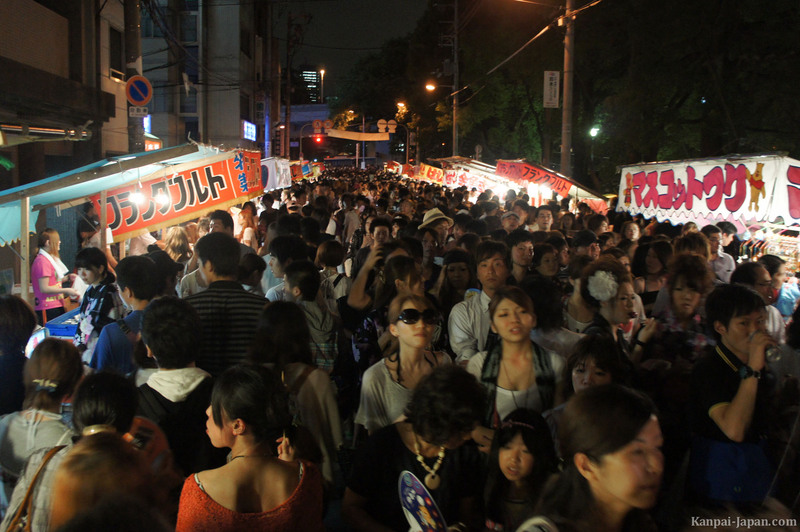 Last summer, I took the opportunity to attend one of the biggest festivals in Japan: Osaka Tenjin Matsuri, also known as Tenjin-Sai. 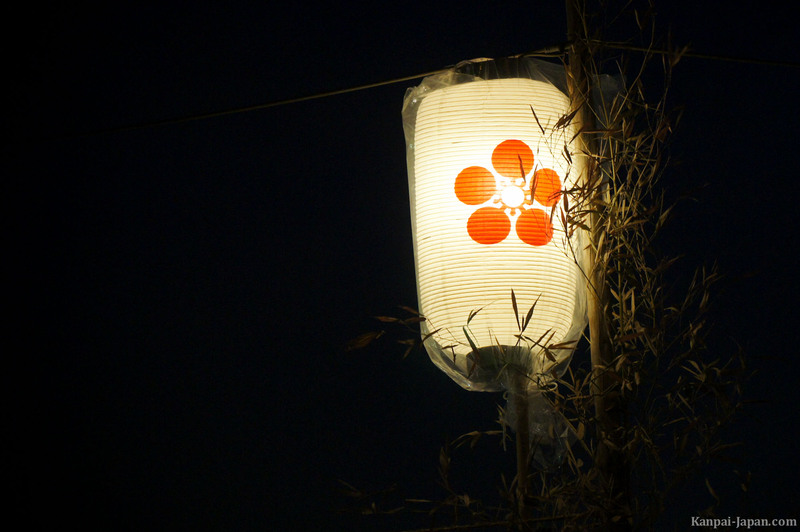 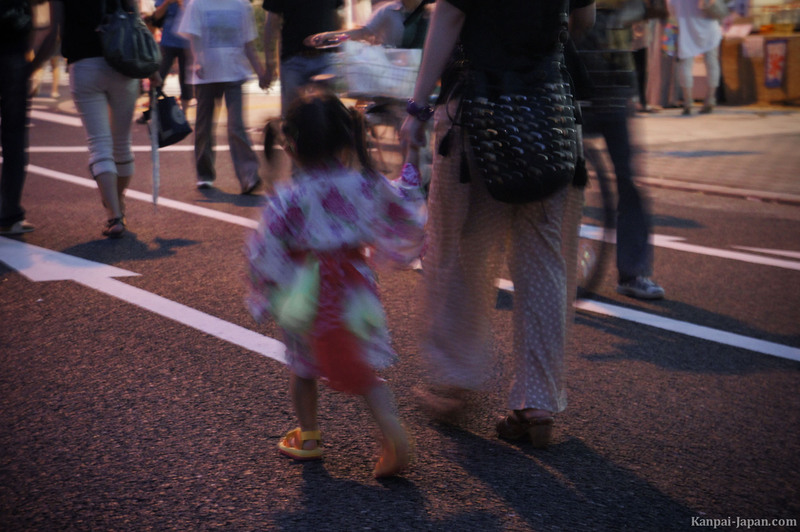 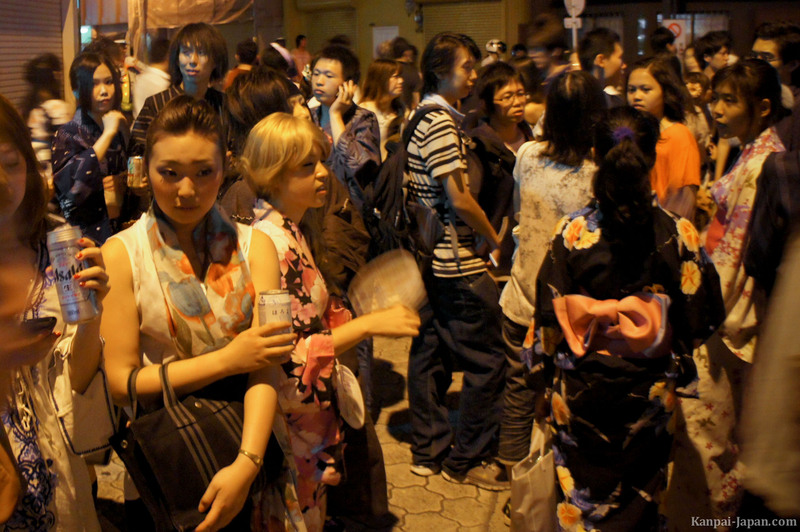 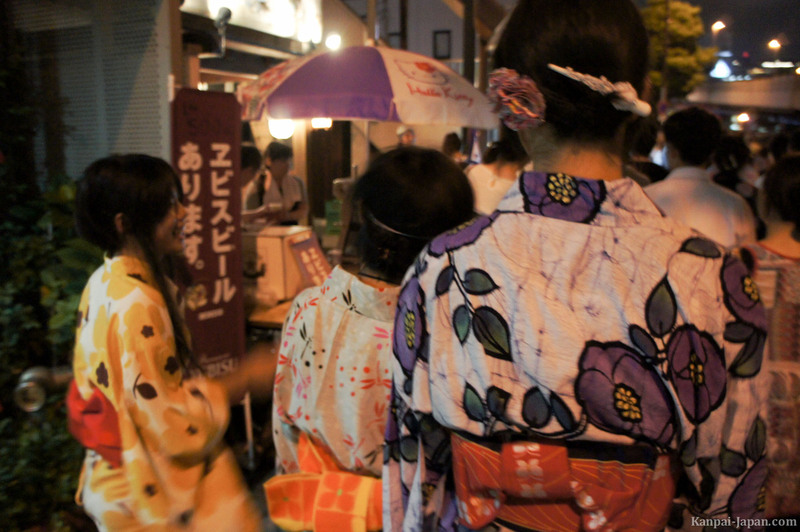 There are probably hundreds of matsuri in Japan, but this one is known to be among the busiest and most festive ones. 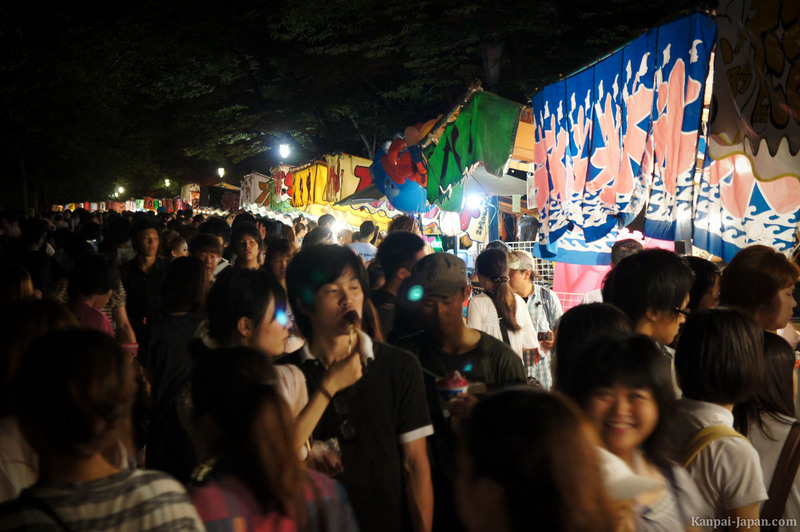 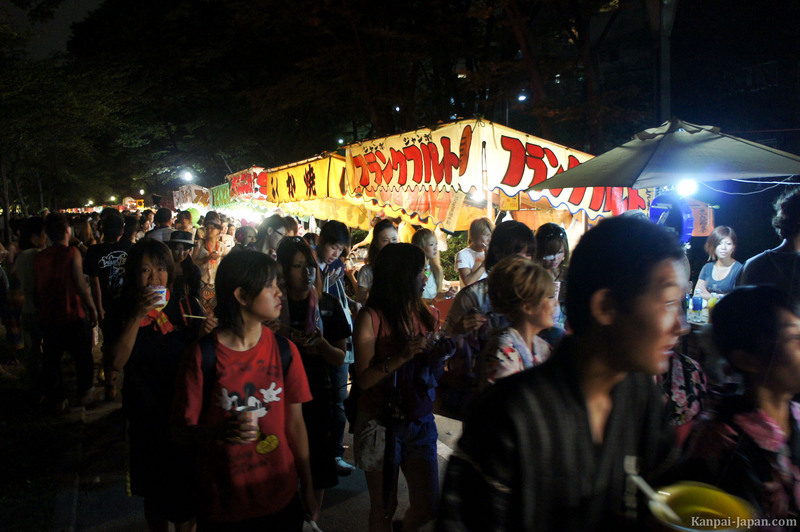 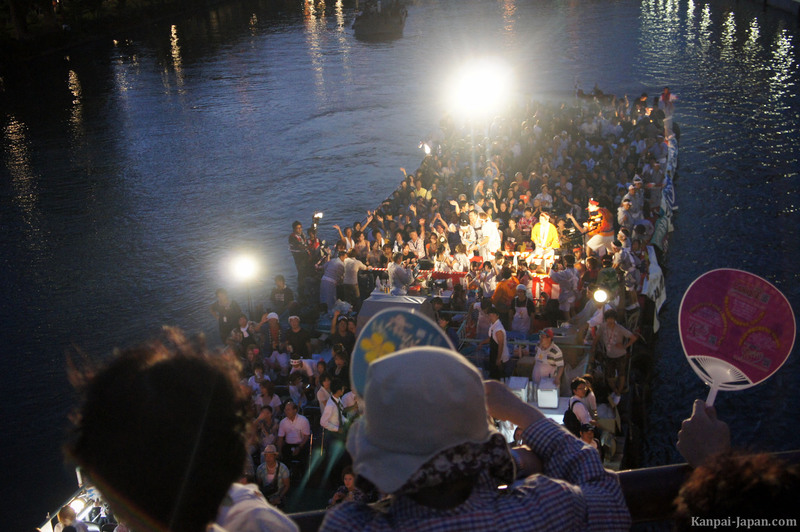 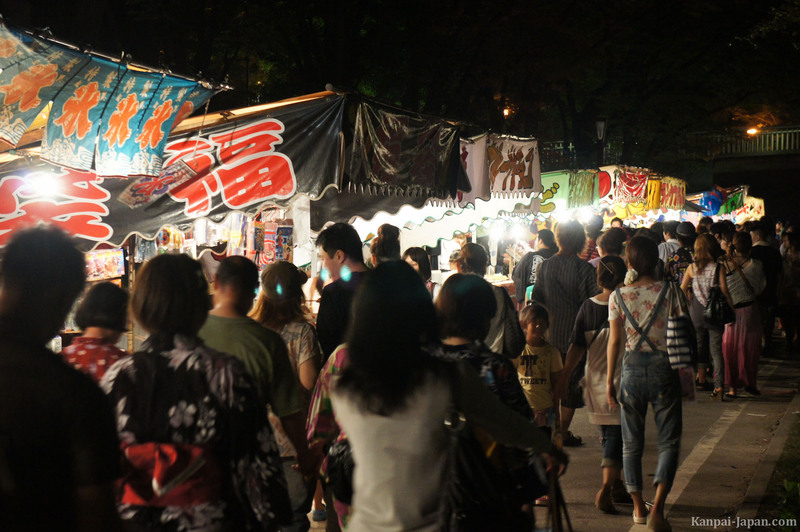 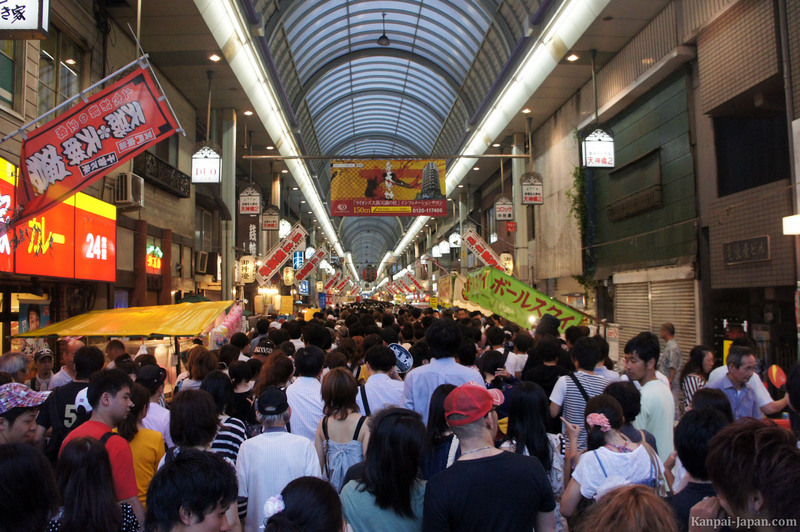 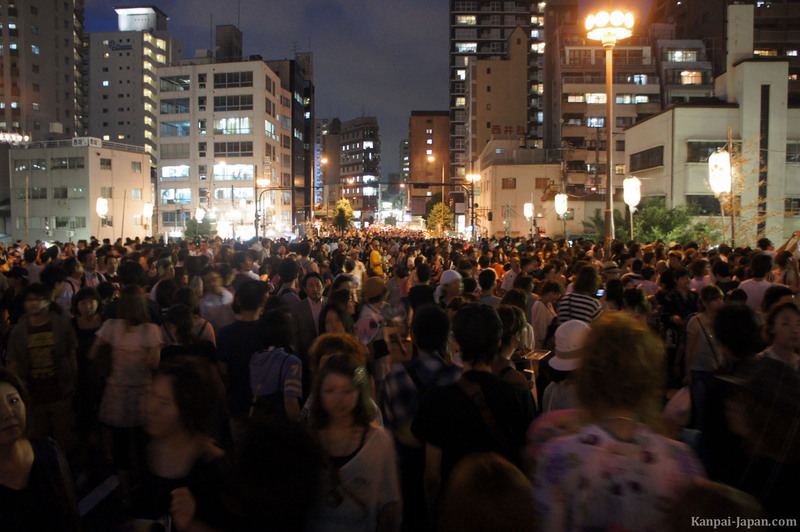 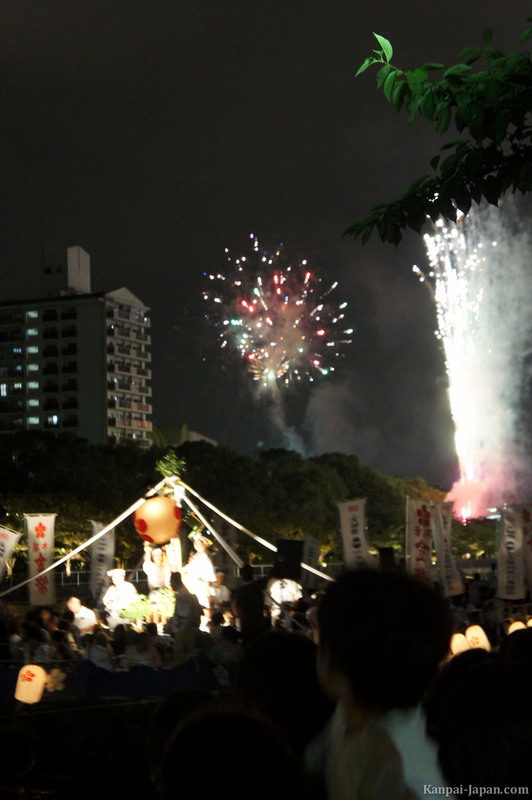 Tenjin Matsuri is held annually in late July, since over a thousand years. 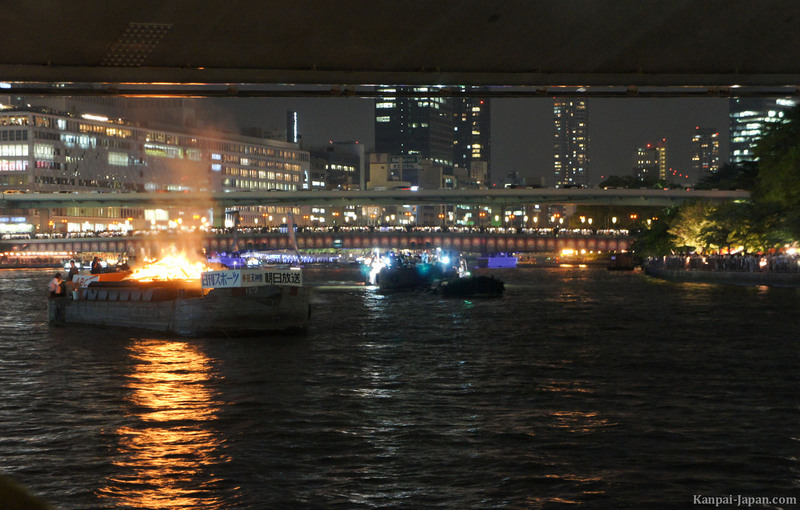 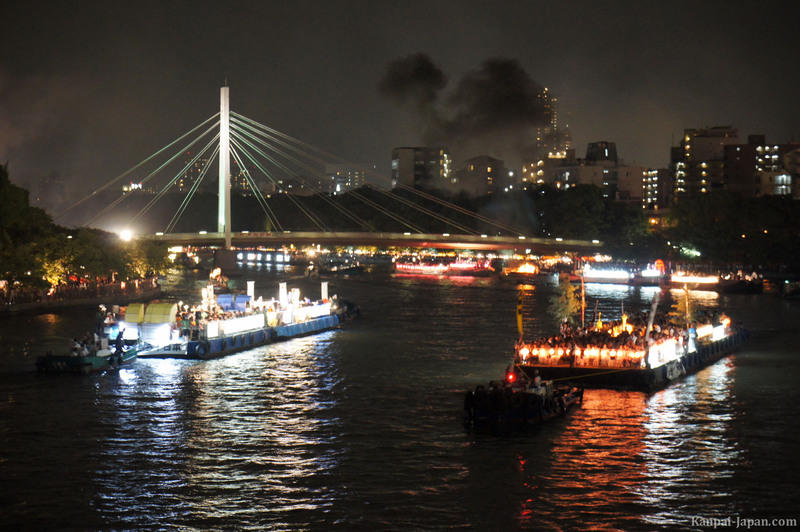 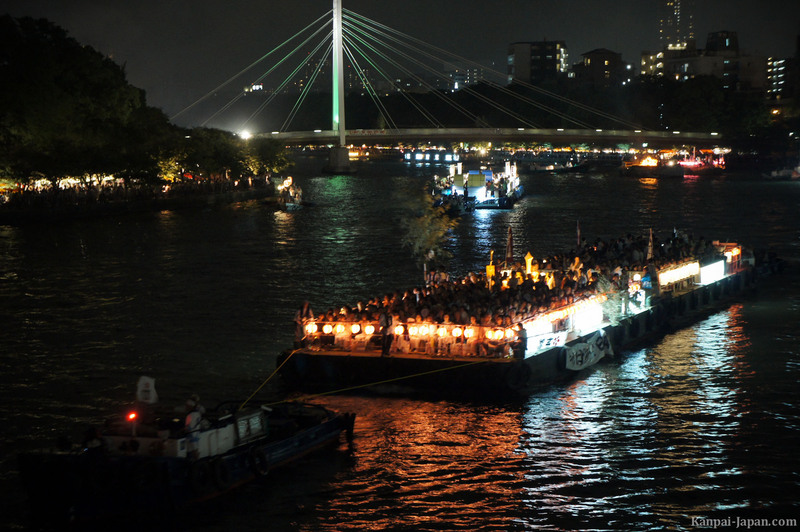 The main attraction is a boat parade on the big river in Osaka (called Okawa), carrying miniature temples and shrines called Mikoshi, and quite impressive large fires. 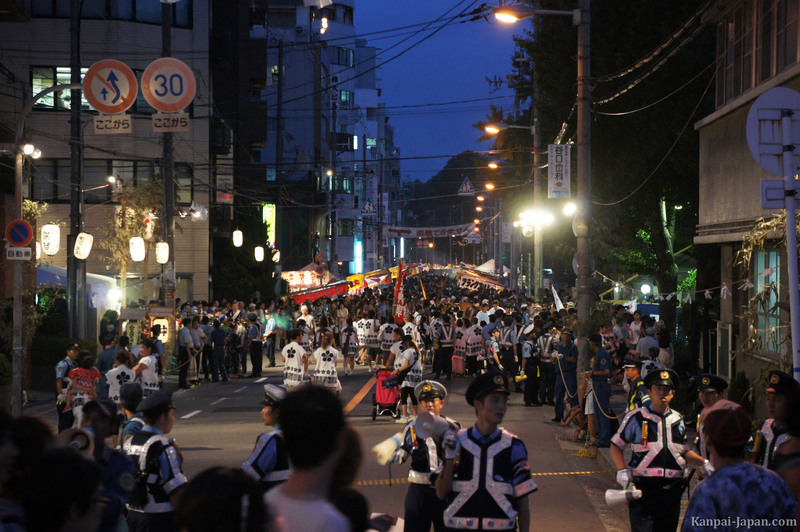 Another symbol of the festival is the amount of torches and lanterns placed throughout the city. 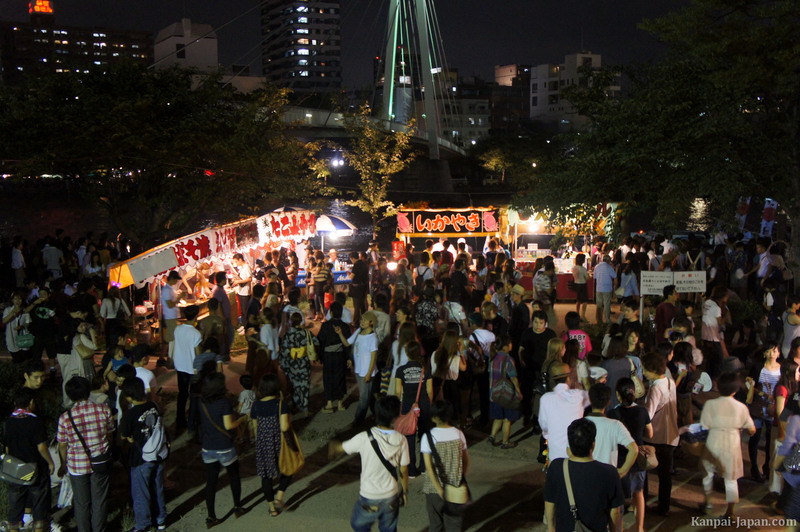 Obviously, this matsuri is also and especially the opportunity to get together with family and friends, to have a good time. 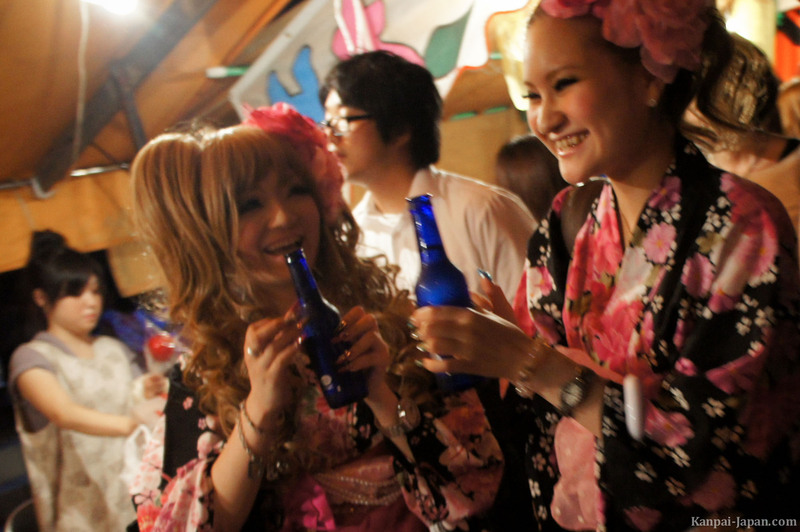 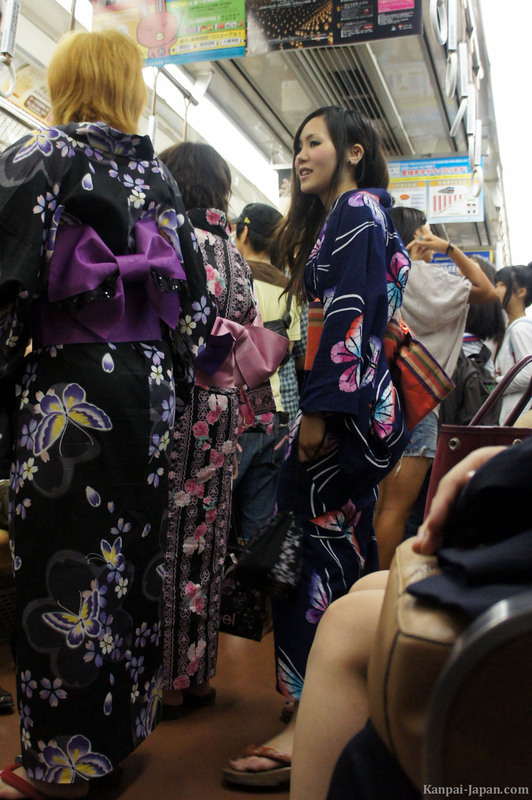 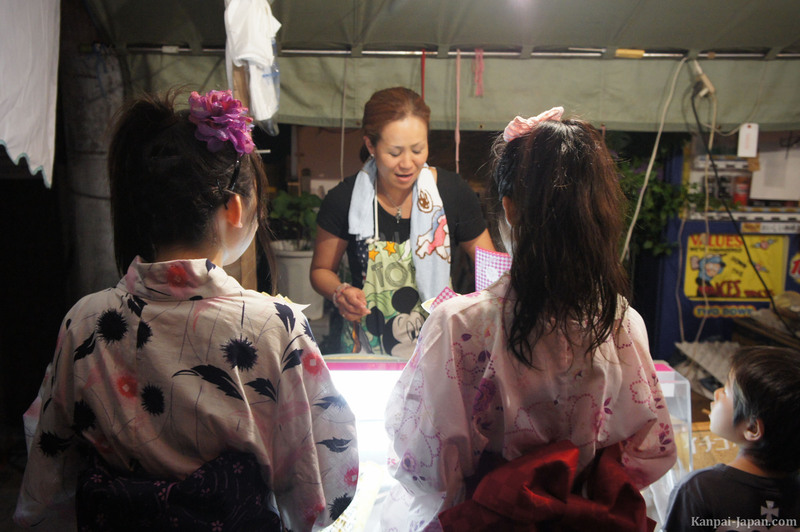 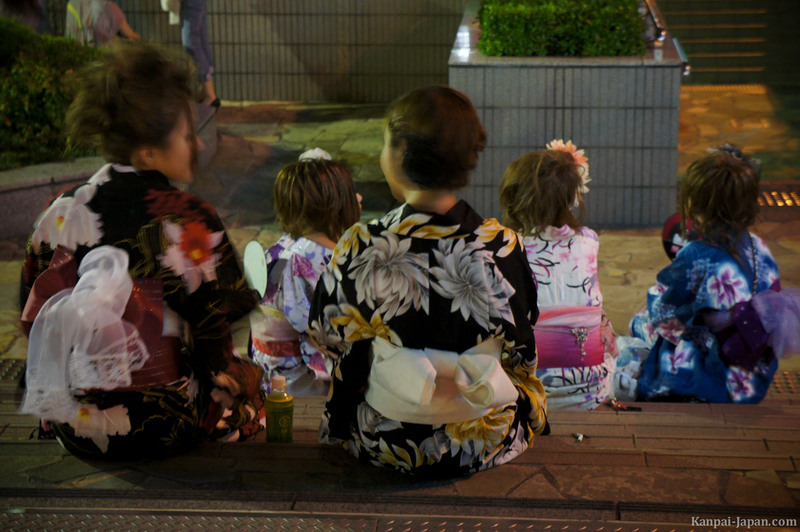 In the afternoon, we already meet many young women and some men dressed in yukata. 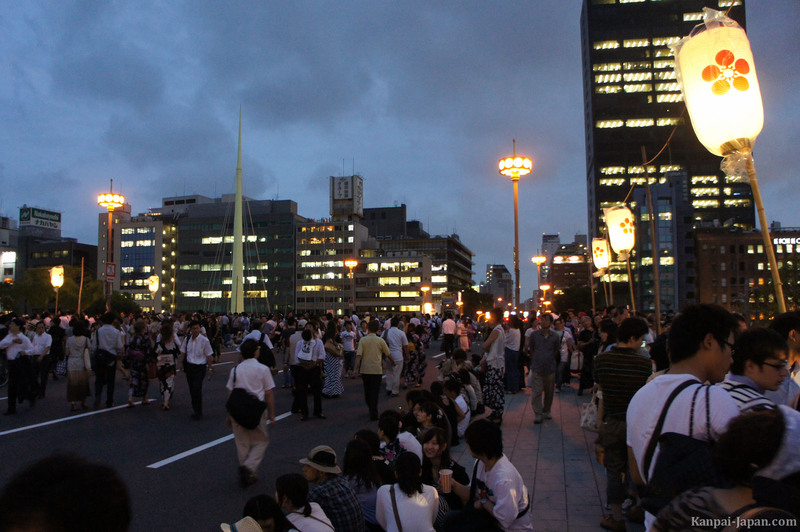 By early evening, the streets fill and become increasingly impractical. 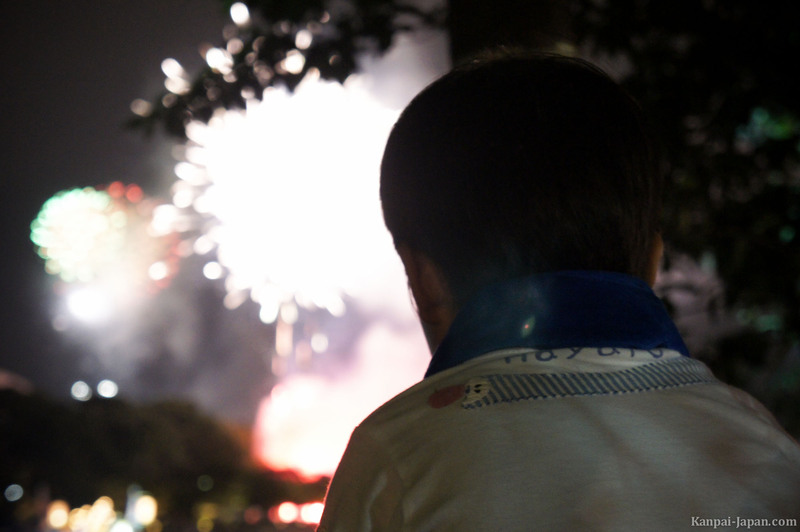 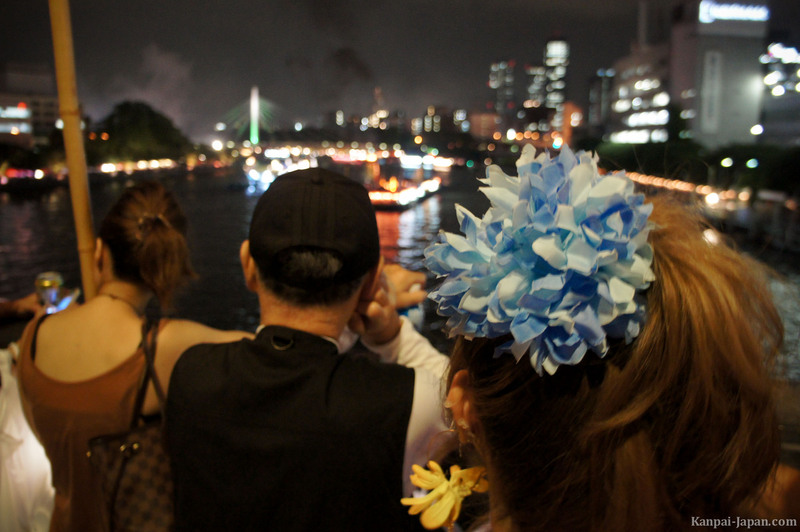 Apart from boat contemplation, Tenjin Matsuri great fireworks is something young and old ones don't want to miss. 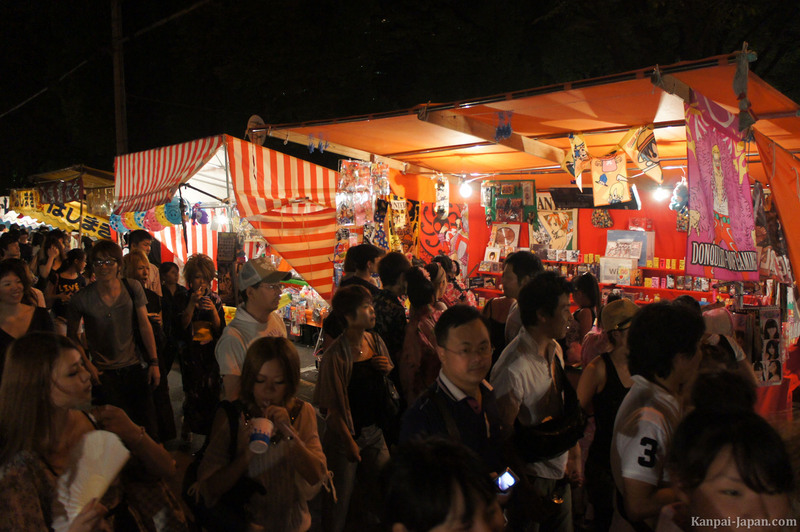 But the Japanese don't forget to pass by the many booths present at Namba. 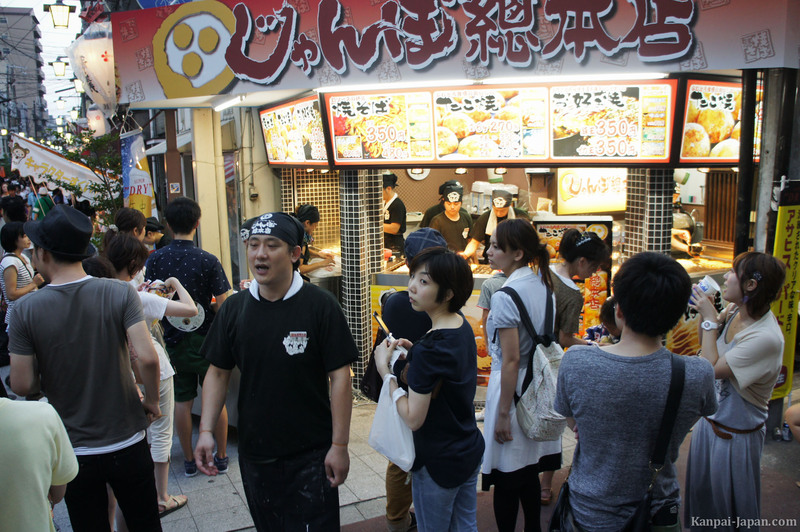 Those of Japanese cuisine are by far the most numerous, including the Takoyaki (local specialty) or ice-creams.